Sacred Heart Primary School is a Catholic, co-educational parish school comprised of 240 students from Pre Kindergarten to Year 6. Sacred Heart is a multicultural inner city school community serving the areas of Highgate, Mount Lawley, Perth, East Perth and Maylands. 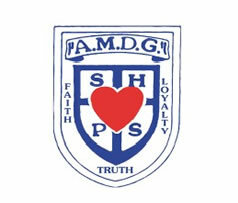 The mission of Sacred Heart Primary School is to develop an educational community, centred in Christ. Sacred Heart is committed to the development of the whole person in a climate where sensitivity and responsibility are developed in a spirit of hope and love. This philosophy underpins all our teaching and learning programs. We teach Religious Education as the first learning area in our curriculum. Our school is mandated to provide programs that are grounded in the Curriculum Framework. This document outlines a series of outcomes across eight learning areas that students are expected to reach. Choosing a school for your daughter or son is one of the most important decisions that you will ever make. Because a good education in their formative years is one of the greatest gifts that you can give your children, it is vital that their teenage years are anchored in an educational environment where commitment to the individual is paramount. Places at Concordia are highly sought after, so prospective families are advised to make contact at least three years ahead of the intended time of enrolment and to lodge an application for enrolment as early as possible. Enrolments are welcome from all members of the community. Concordia staff seek to walk alongside students while encouraging them to take responsibility for their own decisions, determine their own attitudes and futures, and form their own opinions about life. Highgate Primary School is a Kindergarten to year 7 school. Our school was established in 1895 making it one of the oldest primary schools in Western Australia. It is situated in the suburb of Highgate, only 2 kilometres from the CBD. Being close to the CBD allows the students to easily access facilities such as the Museum, Art Gallery, Court House and Parliament House. School Community: Our current school population is 450 with approximately 100 students attending our Intensive English classes. The school community, though changing, still represents over 50 different nationalities. Our unique cultural diversity provides a very practical understanding of the global community for our students and is one feature of our school that is highly valued. The mission of Opes Insight is primarily to facilitate positive change and breakthrough for our clients, assisting them in breaking free from distorted perceptions and the spiralling vicious cycle of negative thinking, emotions and consequently outcomes and re-frame and re-program their minds in order to live a Purpose driven life with Clarity, Vision and Focus. Through teaching and imparting to our clients tools and principles that work as well as encouraging and exposing their ÃƒÂ¢? ?inner wisdomÃƒÂ¢?Ã¯Â¿Â½ so that they are empowered to take the ÃƒÂ¢??driverÃƒÂ¢? ?s seatÃƒÂ¢?Ã¯Â¿Â½ of their lives, to explore new horizons, believe in themselves and create the life of their dreams. Our work is simply to Educate, Illuminate (shine the light on that which perhaps has not been considered), Inspire and Empower those within our sphere of influence to be all they can be in this life and to take 100% responsibility as the authors of their own life books.